This month’s energy is infused with pure MAGIC!!! December 2015’s potent Astrology & Numerology combine to assist us in finally making decisive decisions that will help us get focused, get organized, and ready to start the reset, and positive changes we seek to make, in order to create a more beautiful life for ourselves in 2016. How can you make this materialize? December is the 12th month, and it vibrates to the Magical number 3. 3 Energy is: Creativity, pregnancy, nurture, self-expression, enthusiasm, vitality, outgoing fruitful. The Powerful Year of 2015 resonates to the Successful number 8. 8 Energy is: Abundance, power, success, opportunity, power via effort, material freedom, good decisions, understands law (Justice), is fearless (Courage/Lust). Therefore, December 2015 ( 3+8) Vibrates to the Master number 11. 11 Energy is: Master Vibration; Mastery; spirituality; revelation, portal/gateway, path to manifestation. 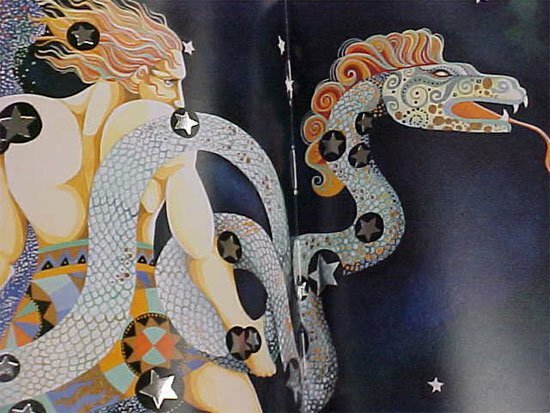 December 4- Venus moves into mysterious Scorpio. Partnerships of all kinds will deepen. That can be good, and not so good. Seek to delve into long standing issues in love, and in all your partnerships, and connections with others; Venus rules money, as well as love & beauty: Connect at deeper levels; Money matters may need your attention; Take nothing at face value, and do Read between the lines; Use this energy to broaden your intuitive, and psychic abilities. December 9: Mercury enters Capricorn. Mercury is mental, it is communication, air, and thinking and speaking. In Capricorn, Mercury is all business. It can become obsessed with planning and risk management. This is actually really good, even auspicious energy to work with as we head towards the December 11th gateway!!! December 10: Mars opposes Uranus. This energy can make us move to too fast, feel restless, and act recklessly. You will feel like your plans are ready now, but the lesson here is to recognize that you need more time. Instead, deliberately slow down, and move with caution. Take heart, our Manifestation Gateway activates the next day!!! December 11: New Moon in Sagittarius and Venus Trines Jupiter. (December 11, 2015: 3+8+11)=22 Energy: Master Vibration . It is a portal where new ideals can be transformed into realistic achievements. 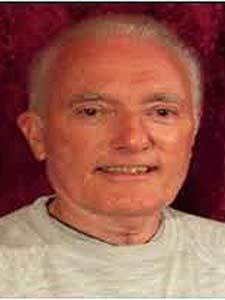 This day serves as a gateway to honing the 22’s Power Master Vibration. It has the New Moon energy and the overall December 2015- 11 Master Vibration frequency, this day holds pure Manifesting Magic! The Master Builder energy (22=4) provides a strong foundation for our goals, hopes, and desires to come to fruition. Long-term plans laid on this day will manifest to perfection. Use its energy wisely. December 20: Mercury conjuncts Pluto, and squares Uranus. The energy can feel tense, so watch your tone when communicating. Instead use the energy for meditation. It is also excellent time to do some serious shadow work. 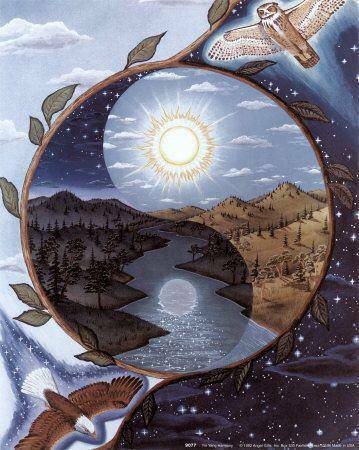 December 21/22: Winter Solstice in the Northern Hemisphere and Summer Solstice in the Southern Hemisphere. Sun enters Capricorn. Allow the energy to help you get organized. December 25/Christmas Day: Full Moon in watery, emotional Cancer. This beautiful nurturing energy is perfect for being with family, bonding, and forming new ties. Also, your New Moon Manifestations from the Dec 11 Gateway will start to become visible as of today. December 30: Venus enters Sagittarius. This energy brings more confidence, and optimism. Love, romance, partnerships, also money issues will take on a more adventurous feel. This energy is free spirited, so make sure to give yourself, and your partners room to grow. The Wheel represents the cyclic nature of life. It is numbered 10 (which is really a 1) in the Major Arcana which signals that a cycle has reached completion, there is a new beginning, or, a reset. Moon cycles, and seasonal cycles are also emphasized. The Wheel foretells that changes are imminent, and your past energy will determine the outcome. The wheel turns for us all, sometimes we are up, and other times we are down, and The Wheel comes to change our current position. It reminds us of the impermanence of life. There is constant flux both in the Universe, and in our human lives. As above, so below. The only constant is change. The Wheel represents the workings of destiny in our lives via cycles of change, and the perpetual motion of a fluidic universe. When destiny is at play, expect the unexpected. December is a creative month and it will have the blessing of two benefics (Venus and Jupiter) which grants us the possibility of growth, expansion, adventure and exploration. Venus in Scorpio will make these very intense. 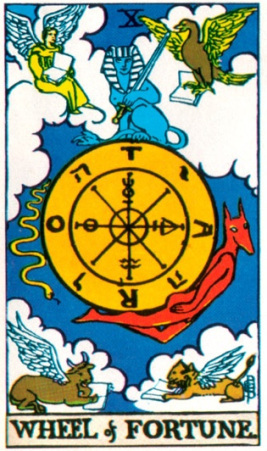 La Rota Fortuna (Wheel of Fortune) hails Fortuna the Goddess of luck and prosperity. She is the quintessential Goddess of the Tarot. The December 11th (Master 22 Day) New Moon gateway, features Jupiter in a masterful trine with Venus. Jupiter, like Fortuna is the planet of luck, as well as expansion, and growth. Venus is love, beauty, and money. I feel brilliant energy for all of us to materialize our deepest heart’s longings. We have amazing potential here. The last one for 2015. Make the most of it. The signs of the Zodiac are for the most part, the highway, or path on which the Sun takes it’s yearly journey across the heavens – as it would appear to Earthlings. These signs are actually star constellations occupying space in which the Sun appears to travels in an earth year. 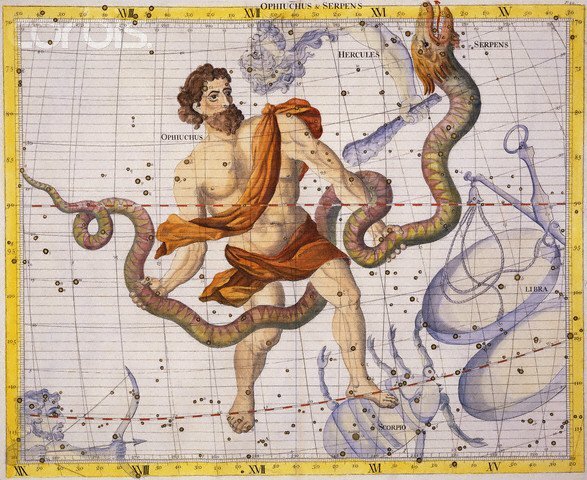 The original twelve signs/constellations: Aries, Taurus, Gemini, Cancer, Leo, Virgo, Libra, Scorpio, Sagittarius, Capricorn, Aquarius, and Pisces are quite familiar to everyone, however, the thirteenth sign and constellation, [Ophiuchus], is in fact, not well known. To acknowledge a 13th sign now would seem awkward for astrologers, who like the tidiness of 12 signs that rule over the 12 houses of the Zodiac. The heavens are alive and they do change after a few thousand years and the astrologer who wants to maintain accuracy must change along with the signs in the heavens. 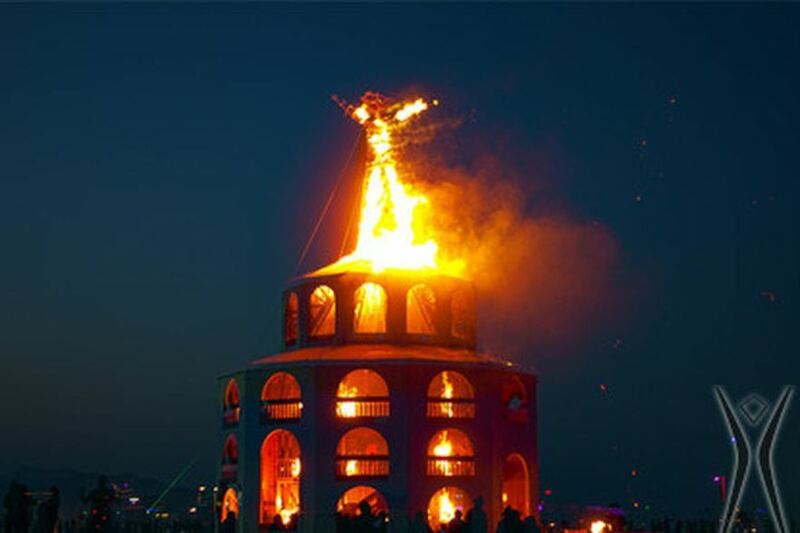 – likes to wear clothing of vibrant colors, and plaids in particular, – receives the favor of those in authority. Be aware that there are powerful forces all around you, and when they come together there will be a sudden surge in positive activity. You will then know beyond any doubt that the New Age is really under way and that there will be no going back to the old paradigm. For some time now you have been given indications of what type of changes is going to take place. There will be a swift advancement that will bring in welcome changes that will clearly indicate the direction you going in. The old will disappear very quickly, as the changes advance you to a new level of life. In time the inequality that many experience now will be eradicated, and all will finally have a very acceptable level of life. The Oracle Report will return tomorrow, Saturday, November 28, 2015. Yesterday and Wednesday’s reports remain in effect, as these astrological effects are still unfolding.